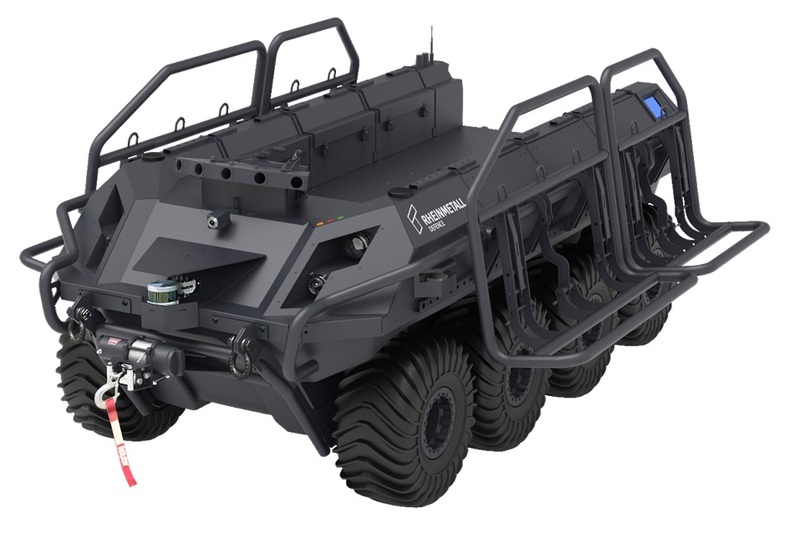 At Eurosatory, in June 2018, Rheinmetall exhibited the production version of its Mission Master, the unmanned ground vehicle developed and produced by Rheinmetall Canada. Six months later, at the Rheinmetall Talks in Vienna, Alain Tremblay, head of business development, illustrated the step forward made by the Mission Master, the first production systems having been delivered to customers. Developed from a commercial platform that has been completely modified, the original one being powered by a gasoline engine while the Mission Master has a wholly electrical propulsion system, Mr. Tremblay detailed the customers trends when looking for a UGV and underlined the Mission Master key advantages, before describing the various versions currently under development. 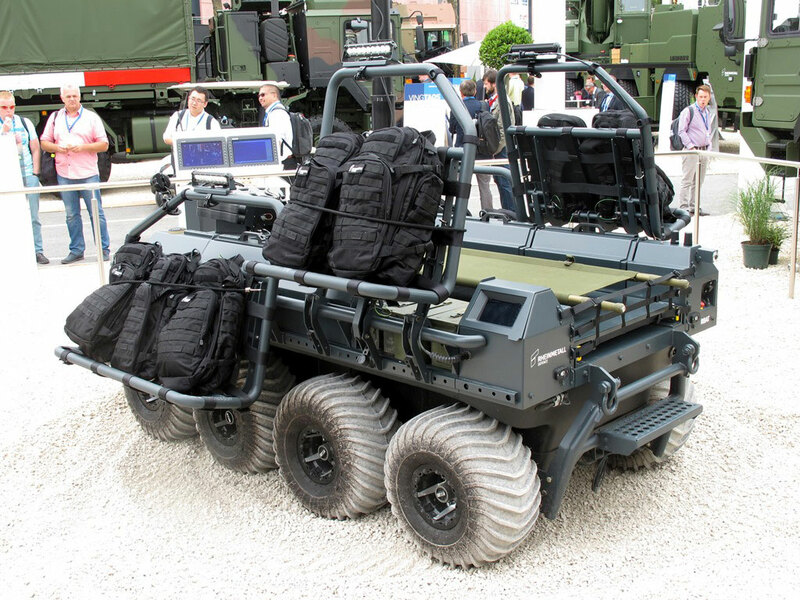 In Europe and in the Western countries armies are considering UGVs mostly in the soldier support role, looking for autonomous vehicles capable to transport resupplies, ammunition, rucksacks, and to carry out Casevac missions when returning back from the fighting area. In the Middle East and Asia armies have a wholly different approach, focusing instead more weaponised platforms, which allow carrying out firing missions without putting soldier’s lives at risk. In both cases UGVs are considered as expendable items, thus their price is definitely a key parameter in discussions with potential customers. To contain costs Rheinmetall Canada was thus very careful in submitting the system to military ruggedisation only in the areas where this was vital, i.e. in command and control and in communications. That said, the Mission Master remains a high-tech system, its suite of four Ladars, three of them 2-D and one 3-D, being the key items when autonomous mobility is concerned, allowing the UGV to measure the width of a ditch, thus understanding if it is capable to negotiate the obstacle or not, or to immediately know that a tree brush is not an obstacle. As an example, during the Elrob competition that took place in Belgium last September, the Rheinmetall’s UGV demonstrated to be capable to drive through the gap between two trees at 30 km/h, without even slowing down, identifying and evaluating the obstacle when it was at 50 meters distance. Its sensors, which beside Ladars also include a front and a rear camera and a 360° optronic system, and its on-board computer, allow the Mission Master to operate in GPS denied environment, a key element in urban areas and not only. If the enemy deploys EW systems, the UGV continues to operate, as it is constantly mapping his road and recording all obstacles, something that also allows it to easily track back its way; as the Mission Master operates on tasks, it doesn’t need guidance communications, these being needed only should the mission change. 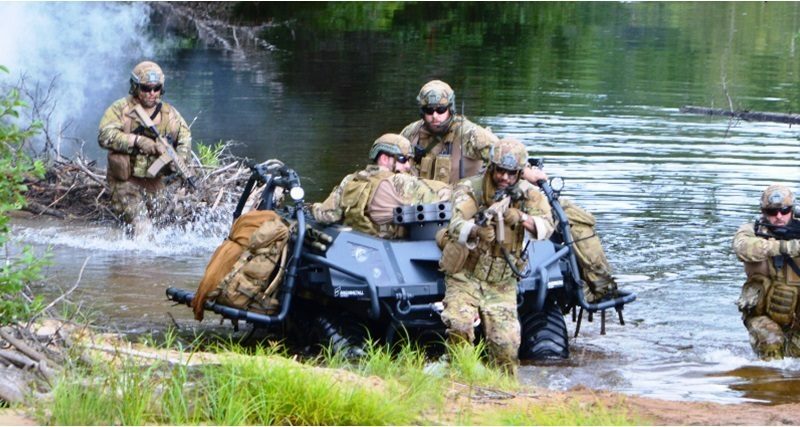 Another key element for mobility is its amphibious capability, the Canadian-developed UGV being one of the very few capable to swim with a 300 kg combat load without preparation, while considering deployability the basic vehicle can be carried internally in a CH-53 or CH-47 helicopter, the Mission Master being also parachute deployable. Considering endurance, Mr. Tremblay explained that with the current Lithium battery pack the Mission Master is capable to operate continuously for 8 hours at 30 km/h, carrying the full 600 kg maximum payload; however, depending on the type of mission, it can operate up to 72 hours. When called to work in very cold weather, such as -30°, a temperature easy found in northern Canada, the company considers that batteries would lose some 40% of their capacity, and strongly advise exploiting the auxiliary power unit, which would considerably increase endurance. “Not a single client is looking for the same capability or the same configuration,” Tremblay underlines, highlighting the importance of the full modular approach adopted by Rheinmetall Canada in the development of the Mission Master. This leads us to the various configurations currently under development. The cargo version, the Mission Master-C, that was seen in Paris, carries the full load of 600 kg, is fitted with the Rosy rapid obscuring system, and can work in fully controlled, semi-autonomous or autonomous modes, a bidirectional audio communication system with speaker and microphone being also installed. This configuration has already been sold to the undisclosed launch customer, field trials with Germany and the Netherlands being planned for March 2019, both armies having expressed a considerable interest. The armed version, the Mission Master-P, for Protection, is fully developed and has already been test fired. 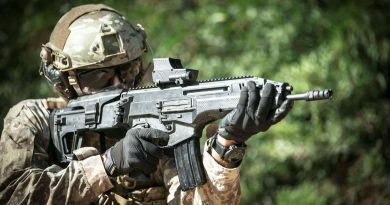 An RCWS of the Fieldranger family, another Rheinmetall Canada product, can be fitted with automatic weapons from 7.62×51 up to 20×120 mm calibre, as well as 30 or 40 mm automatic grenade launchers. 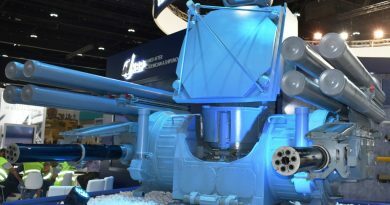 “However we are also ready to install a Northrop Grumman M230 LF 30 mm low recoil gun firing 30×113 mm ammunition,” Tremblay adds. Two configurations should be finalised in the next three months. The first, a variant of the Mission Master-P, is fitted with a Fieldranger turret armed with two six-tube 70 mm rocket launchers provided by Thales TDA, which can use both unguided and guided rockets; elevation is between -20° and +60°, allowing also ballistic launch at maximum distance. Firing tests are scheduled for March 2019. 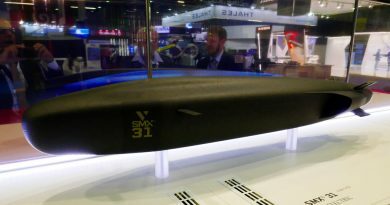 The second one, the Mission Master-S, is aimed at surveillance missions and is being developed for an undisclosed Middle East customer. 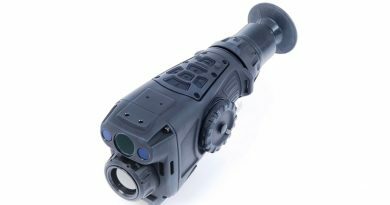 It is fitted with a telescopic mast on which the sensor package is installed; this includes a MWIR thermal camera with a 640×512 cooled sensor, providing a near FoV of 2.75°x2.05° and a wide FoV of 9.15°x6.86°. For day surveillance a CCD camera with a1000x1000 sensor is available, featuring a 2.2°x1.69° NFOV and a 20°x15.36° WFOV. A 10 km capable laser rangefinder completes the suite. In this configuration the power management system is vital to ensure maximum endurance, balancing the power needs of mobility and surveillance systems. In one year time a further version of the Mission Master-P, armed with EuroSpike missiles, should be ready. 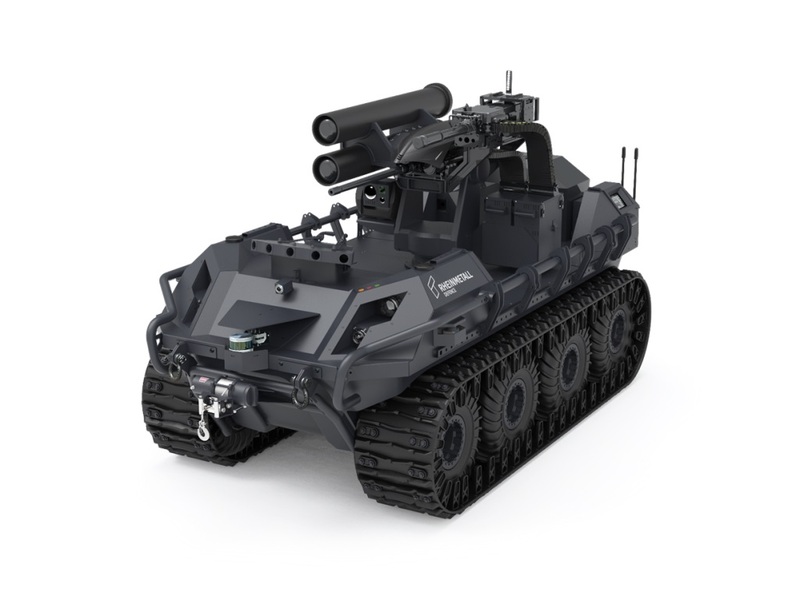 It is based on a customer requirement and includes a hybrid turret armed with a 40 mm automatic grenade launcher and two missiles, elevation being the same of the rocket armed version. However the company is also working at a version armed with 6 missiles, with semi-automatic and automatic target acquisition capabilities. 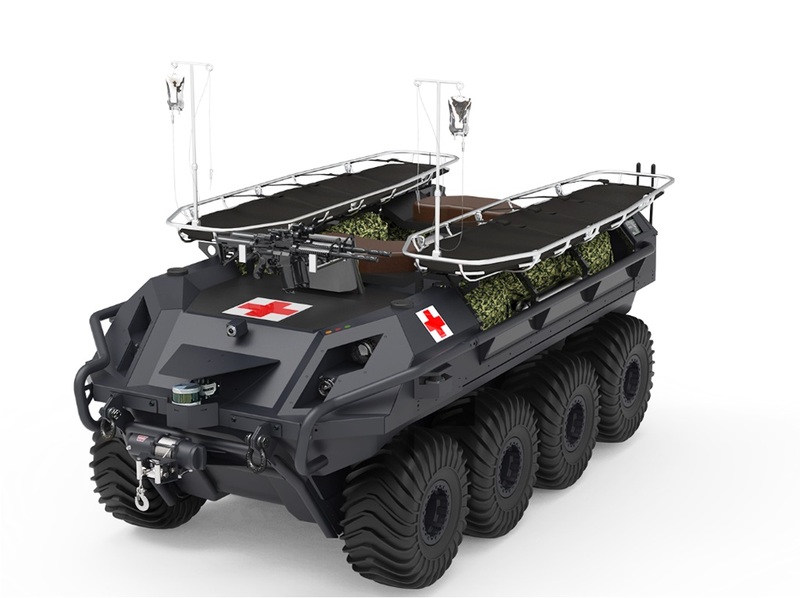 Beside the cargo version, the Netherlands are also looking at a rescue, the Mission Master-R, which will feature basket stretchers with sliding provisions, head and foot immobilisers, oxygen bottles and mask, defibrillator, hot and cold box for blood and other fluids, seats for medics, and dedicated clipping for medical equipment. A CR version (Communications Relay) and a CBRN version are also planned in the medium term, a fire fighting configuration being proposed on the civilian market. The Master Mission-CR will be fitted with Ku/Ka/X band satellite systems and HF/VHF/UHF tactical communication, microwave and LTE being considered as options. 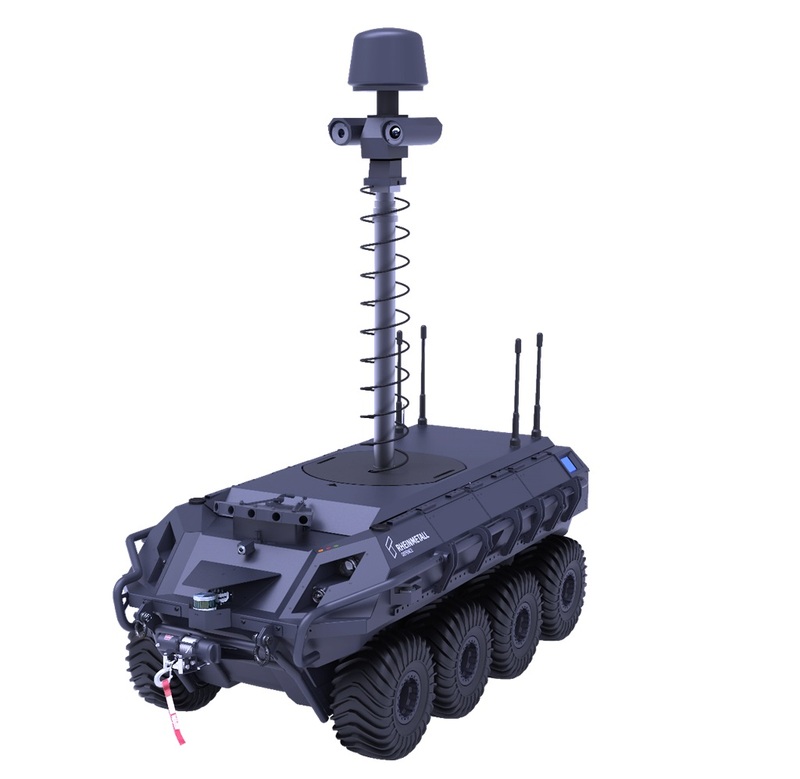 As for the Mission Master-CBRN, the 600 kg payload allows installing a full suite of threat sensors, the UGV being an ideal solution to provide stand-off alarm to a command post. 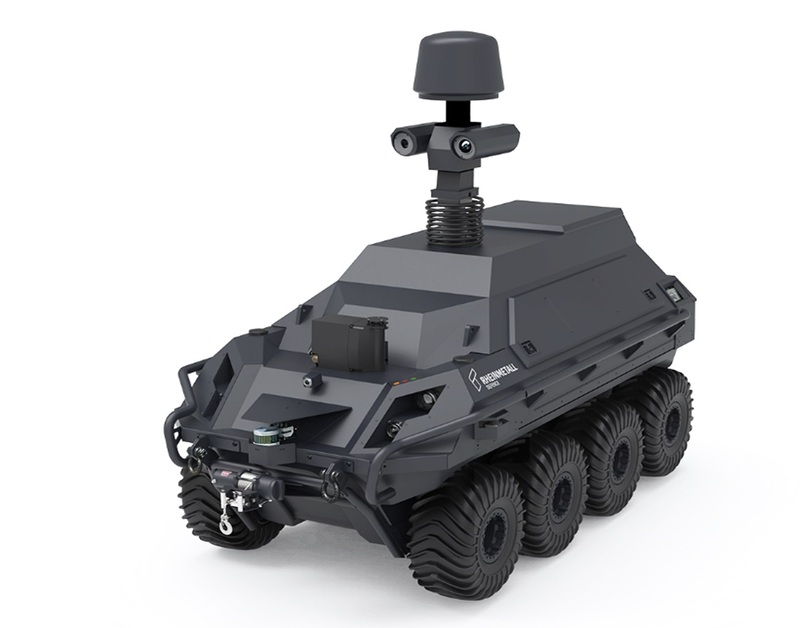 Rheinmetall Canada is not only working on stand-alone systems, the aim being that of deploying cooperative UGVs, i.e. the MM-S being able to hand over targets to MM-Ps, armed with different types of weapons. The company has already created a data-base including the most widely deployed MBTs and IFVs to be used in the targeting process, the problem to be solved being now to assign to the right UGV the right target, avoiding multiple kills. 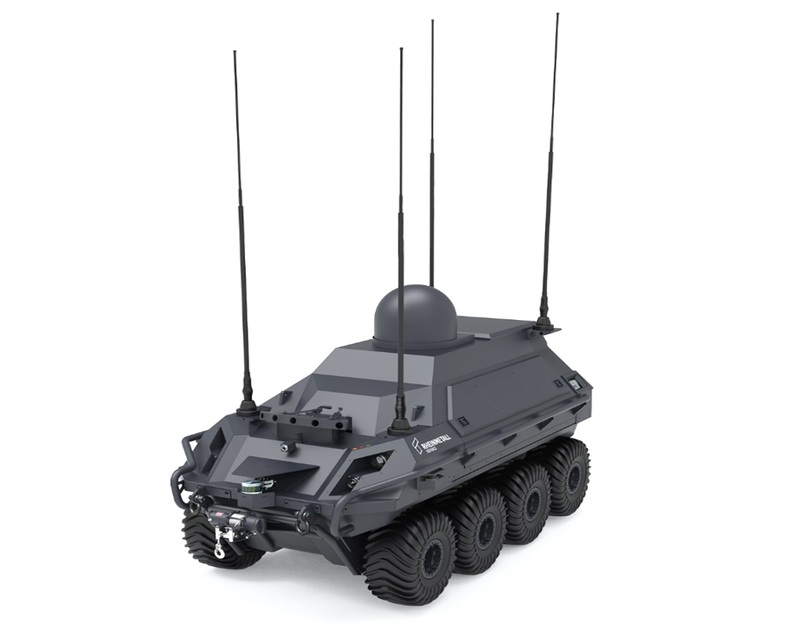 In transferring the target from the surveillance UGV to the armed one, Rheinmetall Canada intends leveraging technologies developed in the air defence field. Moreover, the company looks forward developing multiple-vehicle concepts, which will reach an initial operational capability by late 2019-early 2020, when Rheinmetall Canada will demonstrate its Wolfpack concept. This will see two Mission Master-P and four Mission Master-S operating together, under the monitoring of a single operator, accomplishing any operational mission types from a ruggedized tablet PC. It will require full autonomous capability not only from the platform but also from the modules. 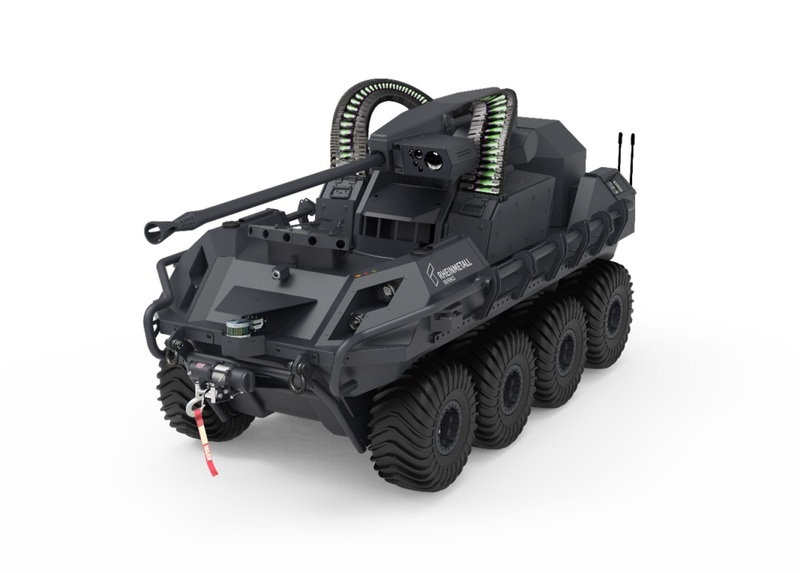 At the 2022-23 horizon Rheinmetall Canada aims at being able to deploy up to 70 UGVs of different versions, under the control of a command team of only 5-6 people. With two customers already bagged, Rheinmetall Canada’s Mission Master seems on its way to become one of the UGVs of choice of many land forces, supporting them in logistic, combat and surveillance operations, modularity probably adding many more missions to those three.